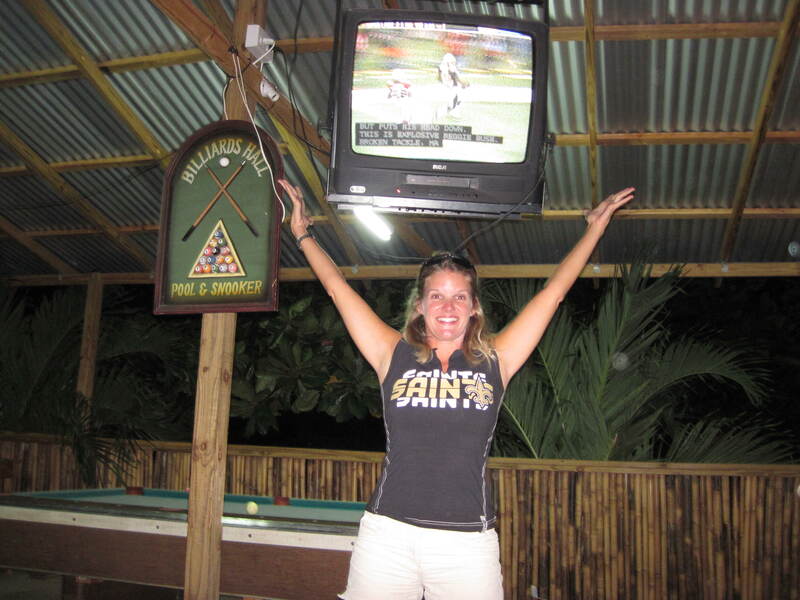 We watched the Saints game from the tree house in Dominica. The last time we watched the Saints game in the tree house was the MNF game againts the Pats.. and we all know how that ended!! This time was even sweeter- a play-off win! The treehouse is officially a good luck spot. As we were watching game, we forgot about the dragonfly-sized mosquitos, the hard, wobbly bamboo chairs, the rowdy rasta’s waatching soccer at the next TV. It was just us and our Saints!!! We are so proud of them and so happy for New Orleans. We are starting to seriously think about being in the treehouse for the Superbowl… wouldn’t want to jinx our team….